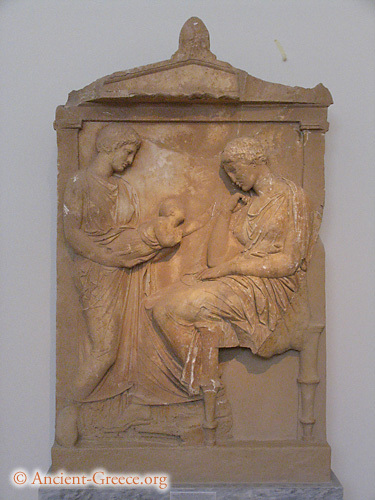 Funerary stele depicting a seated woman being offered an outstretched infant. National Archaeological Museum, Athens, Greece. Circa 370 - 360 BCE.